There are long distances and crowded journeys will not stop returnees from bringing their loved ones all kinds of festival gifts, among which imported products are common. In Sydney, Australia, there are many sales promotions for the Chinese New Year in shopping malls. Many of the goods were flown to China in the suitcases of the returnees. 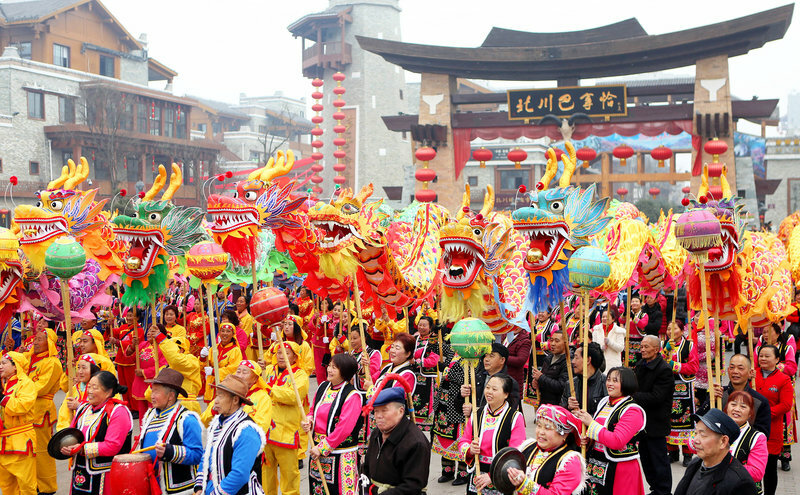 Chinese Spring Festival is a time for family reunion, which does not necessarily mean staying at home. There are millions of Chinese travel with their families during a period of some 15 days before the Lunar New Year’s Day on February 5 this year and around 40 days thereafter, offering the global travel market tremendous opportunities. In order to attract more Chinese tourists, Commercial Bank of Ceylon PLC, one of Sri Lanka’s leading private banks, announced early January that Chinese tourists visiting the island country could pay for their goods and services through the WeChat Pay, a popular payment platform in China. Dozens of Chinese New Year celebrations, including concerts, night galas, parades, among others, are being held across New York City to welcome a flood of Chinese tourists. In Manhattan, a window display featuring the Chinese zodiac sign of pig designed by China Arts and Entertainment Group for the Year of the Pig has been installed in the landmark Empire State Building’s lobby windows on the Fifth Avenue. Spectacular fireworks are expected to light up the night sky on Feb. 11 over the Hudson River in celebration of the Chinese Lunar New Year and honoring the 40th anniversary of China-U.S. diplomatic relations. Chinese Consul General in New York Huang Ping said that last year more than 1.1 million Chinese tourists visited New York City.